Pizza and Movie Night | Live. Learn. Love. Eat. MY OH MY! Are you drooling already? Last night was pizza night but this time I decided to change things up a bit and instead of regular old boring pizza, I made pizza rolls! 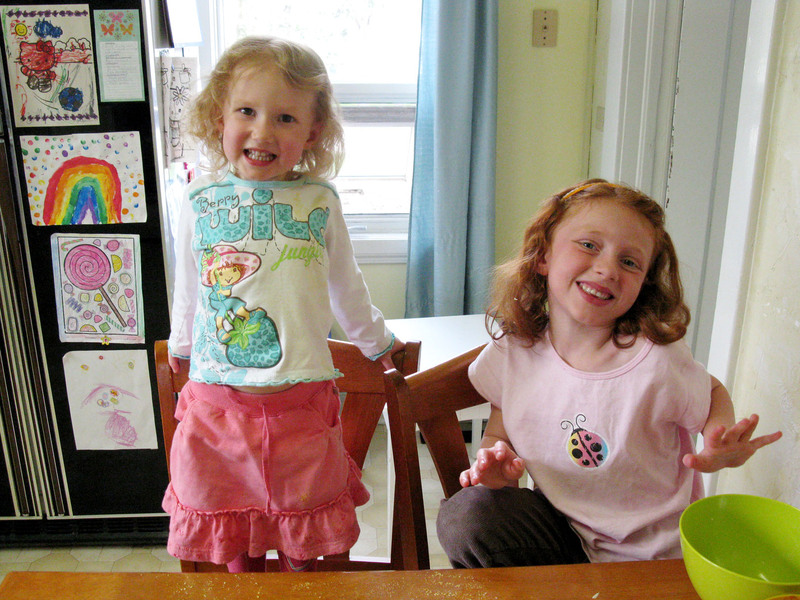 Of course I had my helpers. And tummies were definitely happy! 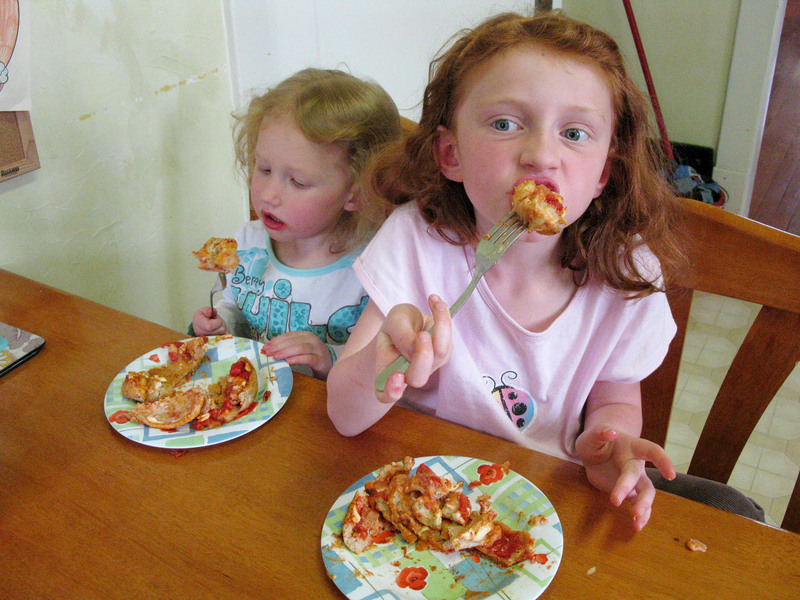 Who doesn’t love pizza? These rolls pack all the flavor of everybody’s favorite food, rolled into a fun and kid-friendly version of a classic meal. The dough is made using whole wheat flour and herbed with rosemary, thyme and garlic. 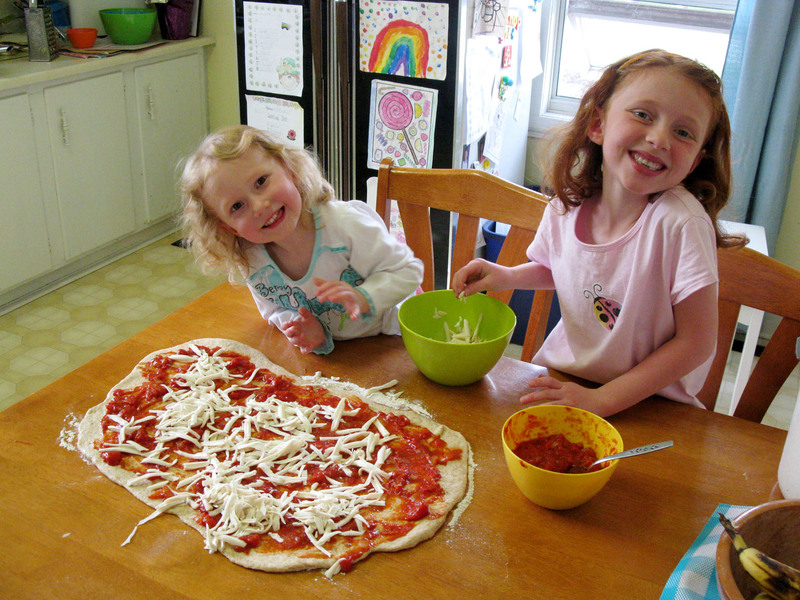 Around our house mozzarella cheese is the favorite, but you could add whatever toppings you desire. Go crazy and have fun! Place the yeast in a large mixing bowl, add the warm water and maple syrup and stir. Pour the water/syrup mixture over the yeast and allow to sit 5 minutes or until yeast begins to bubble and turn foamy. Add the oil and sea salt. In a separate medium size mixing bowl combine the flour with the oregano, rosemary, thyme and garlic powder. Add the flour mixture 1 cup at a time to the yeast mixture. 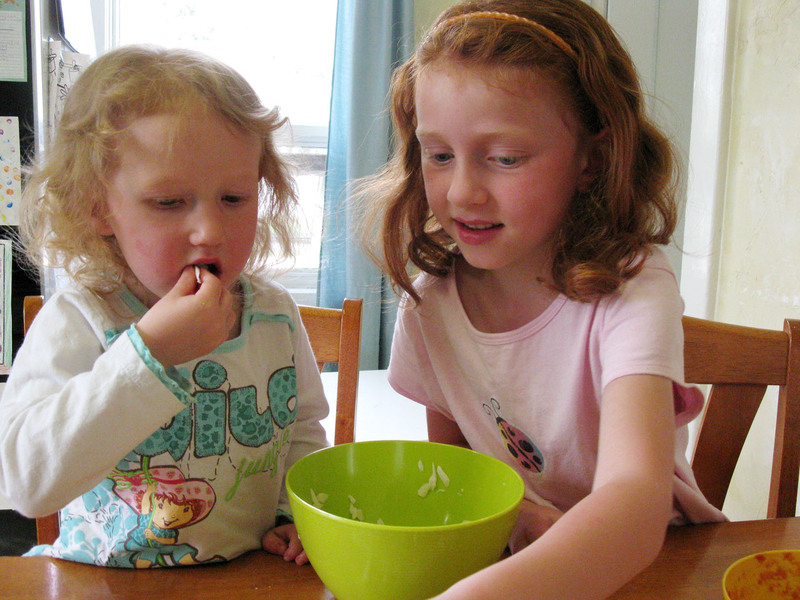 Knead the dough in the mixing bowl to fully incorporate the flour. Place the dough into an oiled bowl and turn to coat. Cover with a dish towel and let rise in a warm place for 1 hour, until doubled in size. Once the dough has risen, sprinkle the remaining 1/4 cup of flour on top, punch it down and place it onto your table (at this point you can all your helpers into the kitchen) and preheat the oven to 400°F. 7. 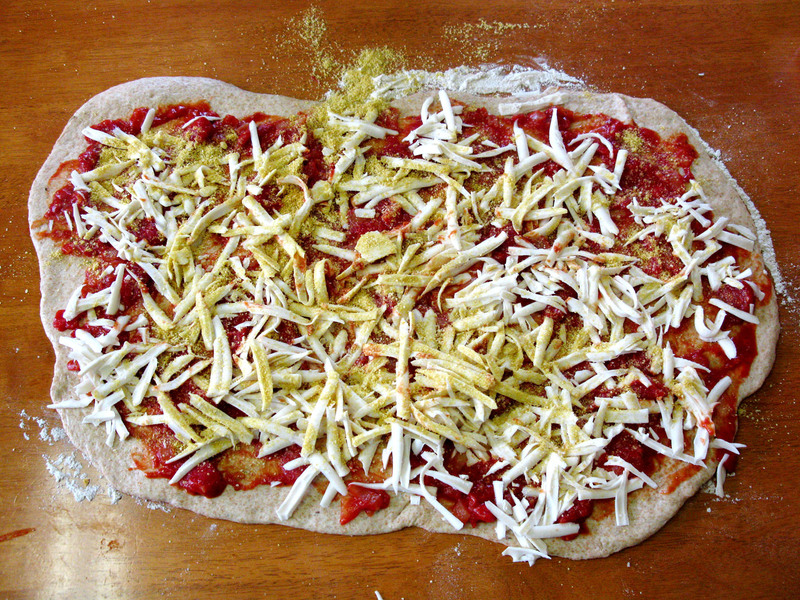 Roll the dough into a large (roughly 20 x 12 inch) rectangle. 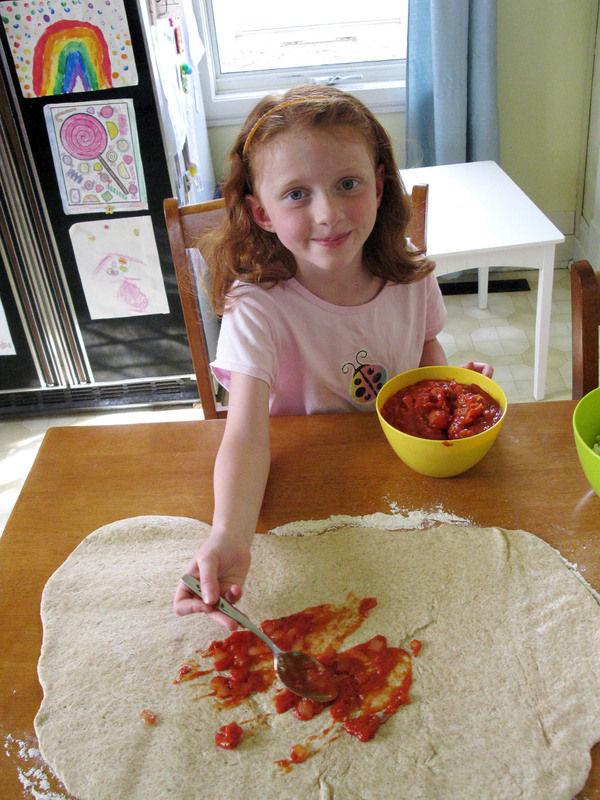 Spoon the tomato sauce or pizza sauce onto the dough and spread evenly. 8. 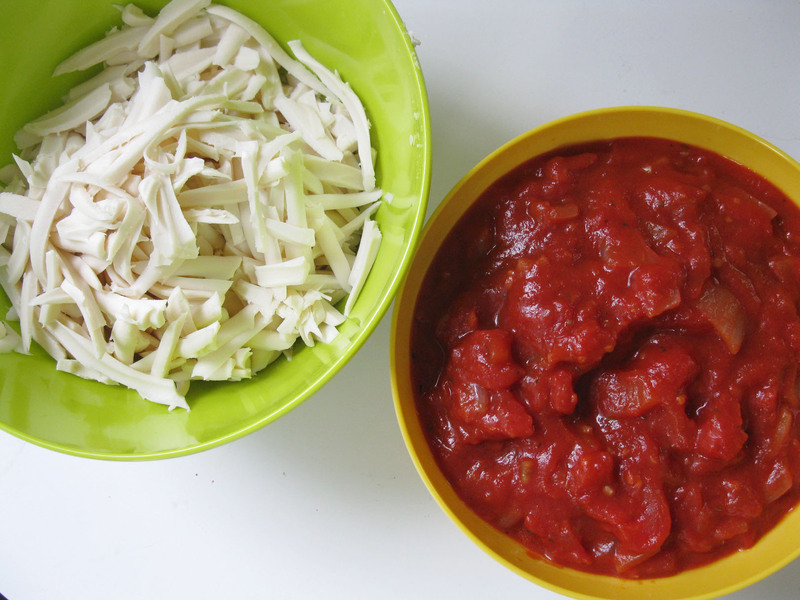 Top with the grated mozzarella cheese and then sprinkle with vegan parmesan cheese. 9. 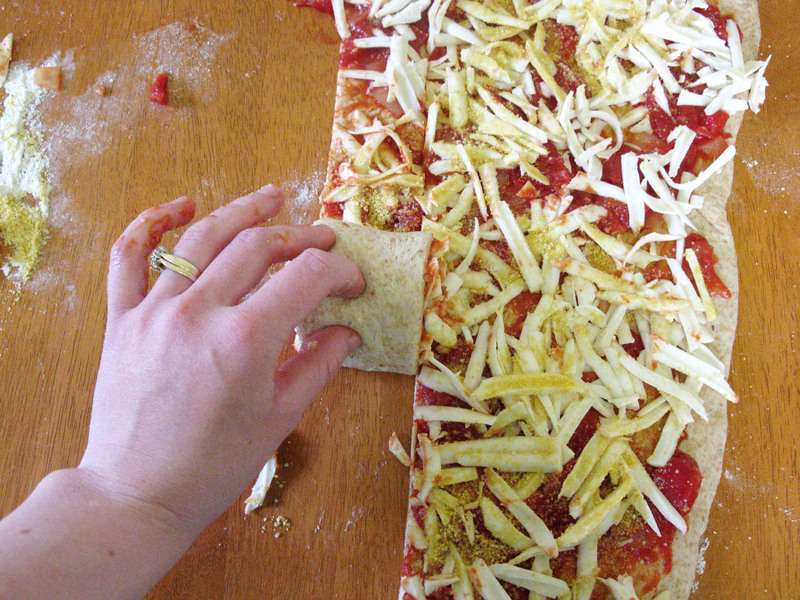 With a pizza slicer, slice the pizza length-wise into 8 equal strips. 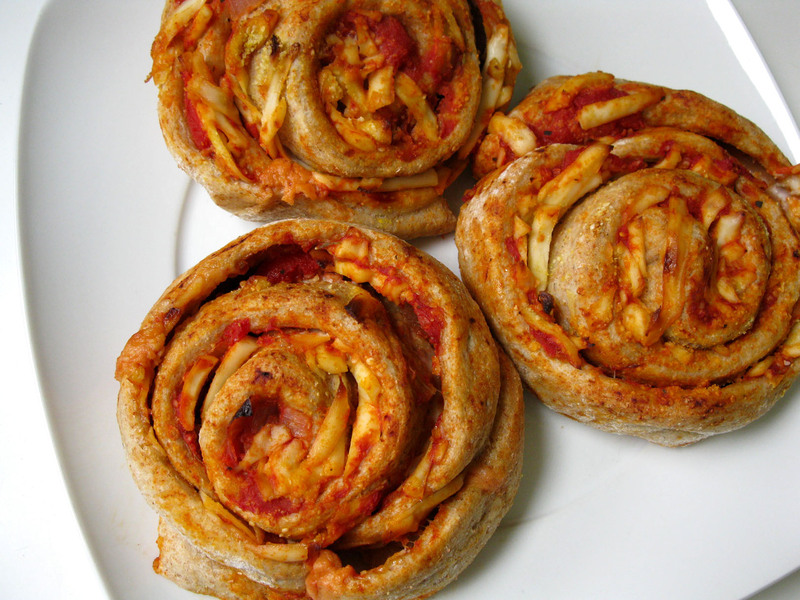 Roll each pizza strip as you would a cinnamon roll, tucking the last few inches of the dough underneath the pizza roll to help hold it together. 10 . 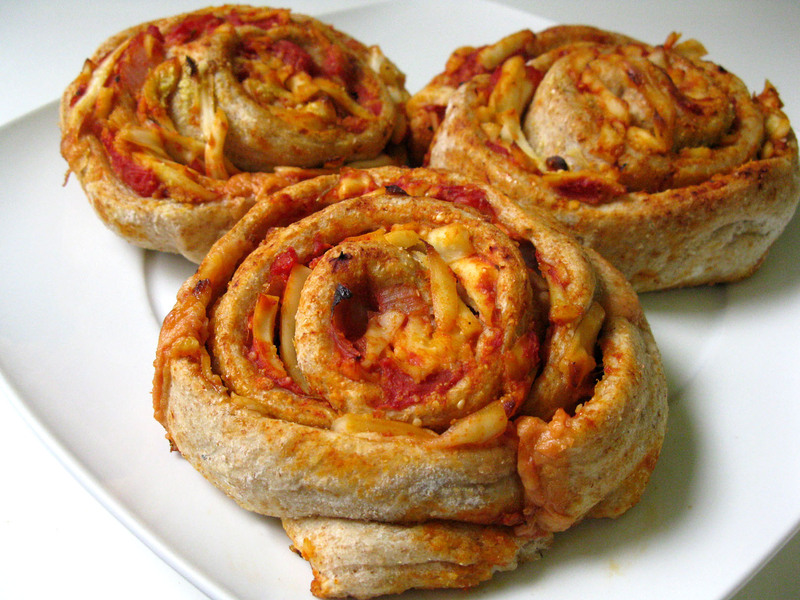 Press each pizza roll down slightly onto a parchment paper lined baking sheet (you may have to use two baking sheets and bake each batch of rolls separately). 11. 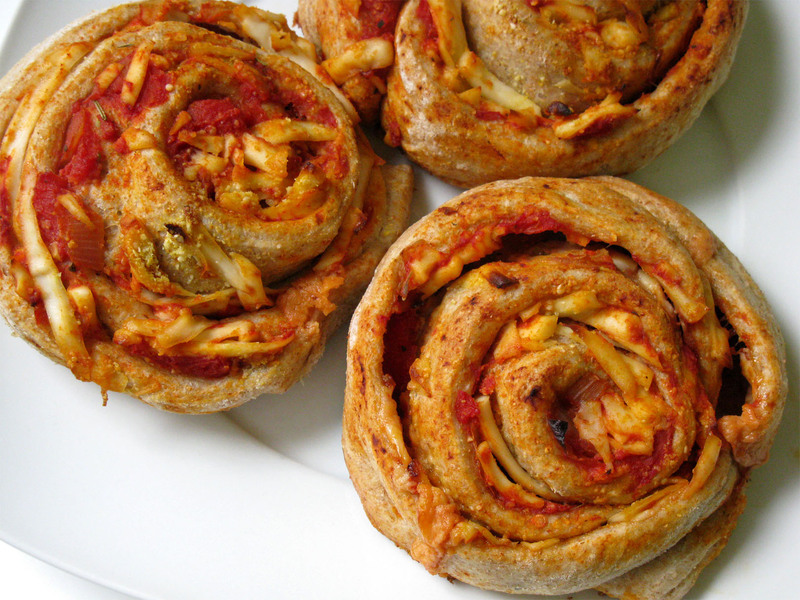 Bake the pizza rolls at 400°F for 18-20 minutes, until lightly golden and cheese is melted. 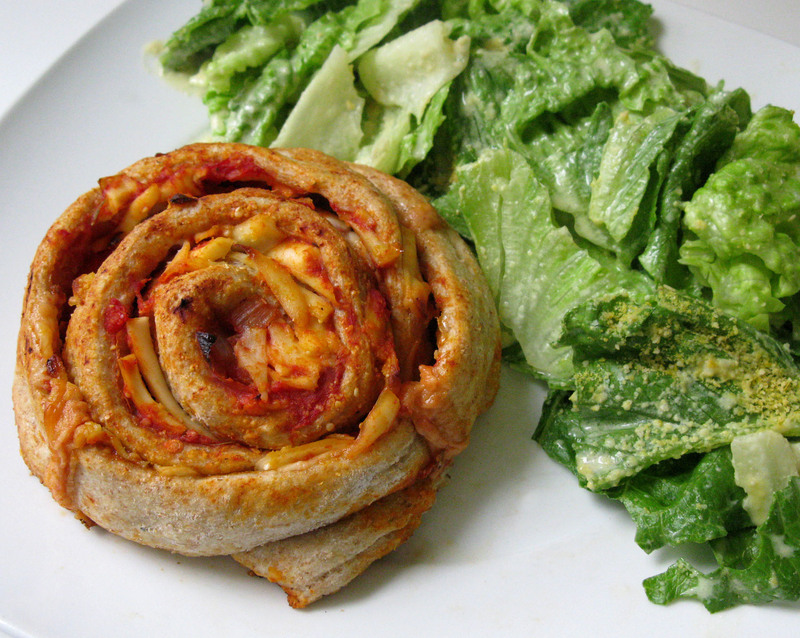 Serve with Vegan Caesar Salad! This meal is definitely going to be a favorite. 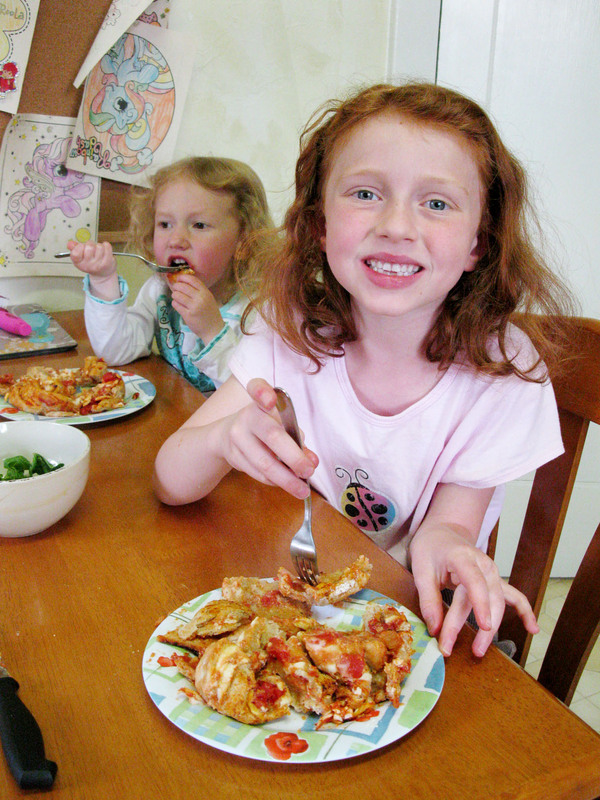 The girls loved every bite and begged for more. I especially like the part of the film where they talk about voting with your dollar, which is something that I strongly believe in. Everyday we have the opportunity to vote for the kind of world we want to have. With every penny that we spend we voice our opinion on what we believe is OK and what is not OK. When we spend our money on packaged snacks and things that aren’t recyclable or have caused much harm to our planet we say that we approve of that and vote for a world of pollution. If we spend our money on animal foods we say that we approve of factory farming methods, cruelty and abuse. I think that a lot of times we act so powerless and keep on waiting for everyone else to make changes. I do believe that deep down inside of each of us, we do want to do the least harm and have a more peaceful, healthy and loving world, it just can feel so hopeless and overwhelming at times. The thing that we have to know is that each and every one of us does have a say. We have a voice and everyday we do vote with our dollar.We have our individual lives to make a difference and we can. There are hundreds of small things that you can do as a part of your daily life that can make the world a better place. So believe in the power of one and make a change today! 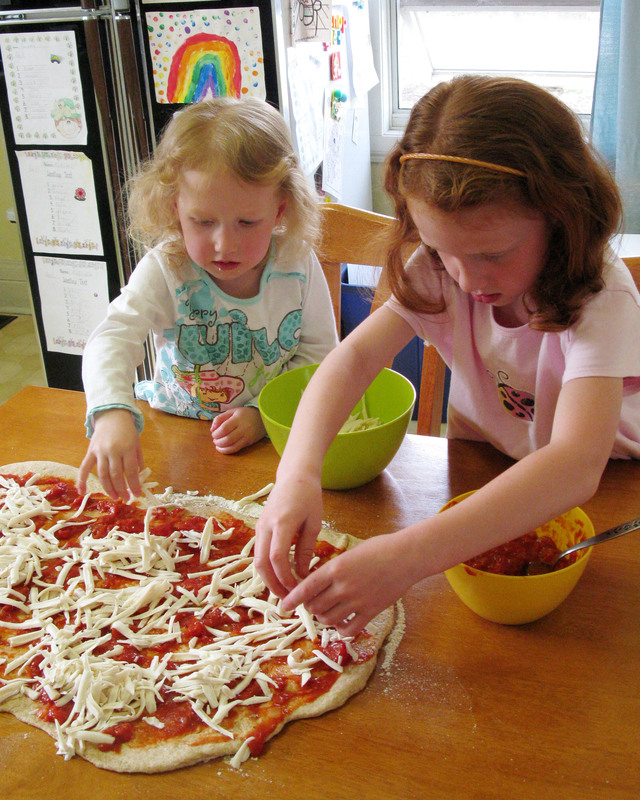 I think my girls will also enjoy this twist on pizza! 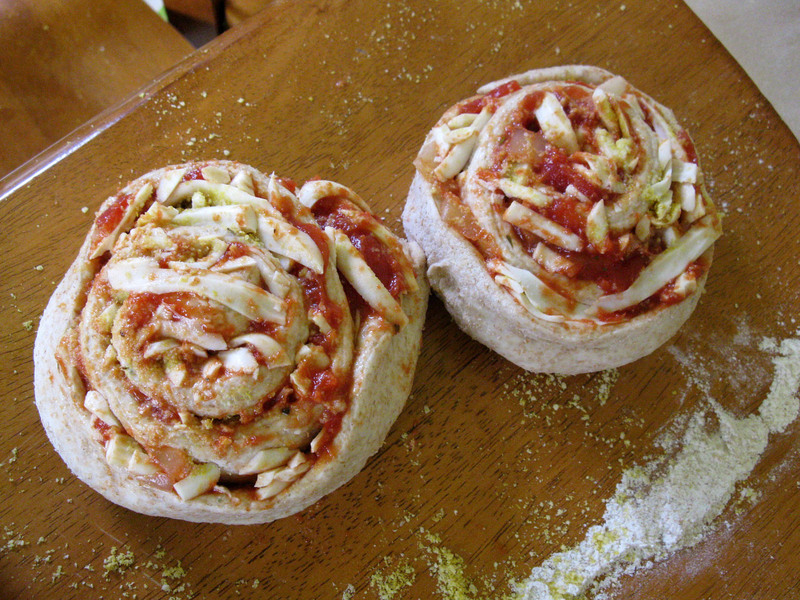 Pingback: Pizza Muffins! | Live. Learn. Love. Eat. 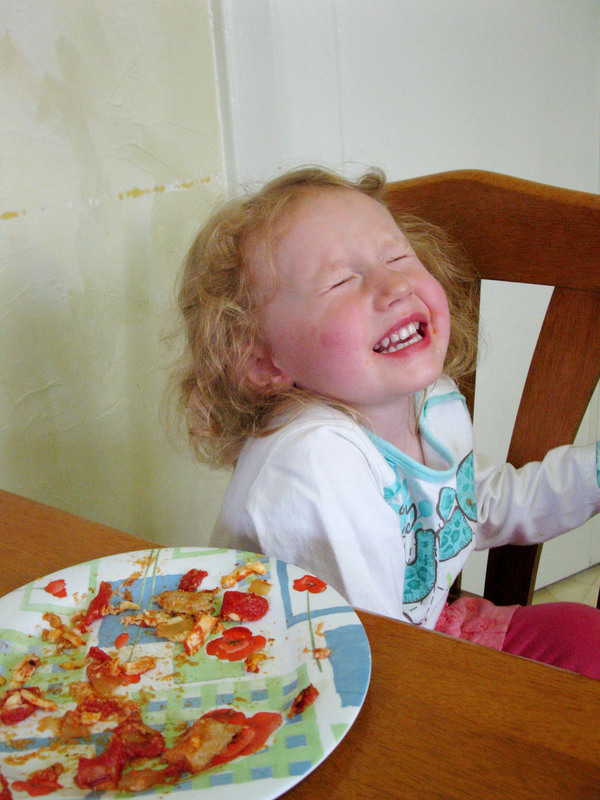 Pingback: How Do I Love Pizza? Let Me Count The Ways. | Live. Learn. Love. Eat. I commented in another of your pizza posts about my intention to do these with garlic and FINALLY got round to making them on Monday! In the end I found a pot of tomato sauce in the fridge so decided to make them as suggested. But on opening said pot, it turned out to be rather off! So I did red pesto and cheddar cheese instead. I did find though that the dough was very wet so I had to add more flour and then when cooking them the outside was very hard, but otherwise they were a hit! Tender on the inside with a subtle flavour. They were filling which was perfect for a family of boys! Thank you. These sound so wonderful! I am sharing this to Pinterest!